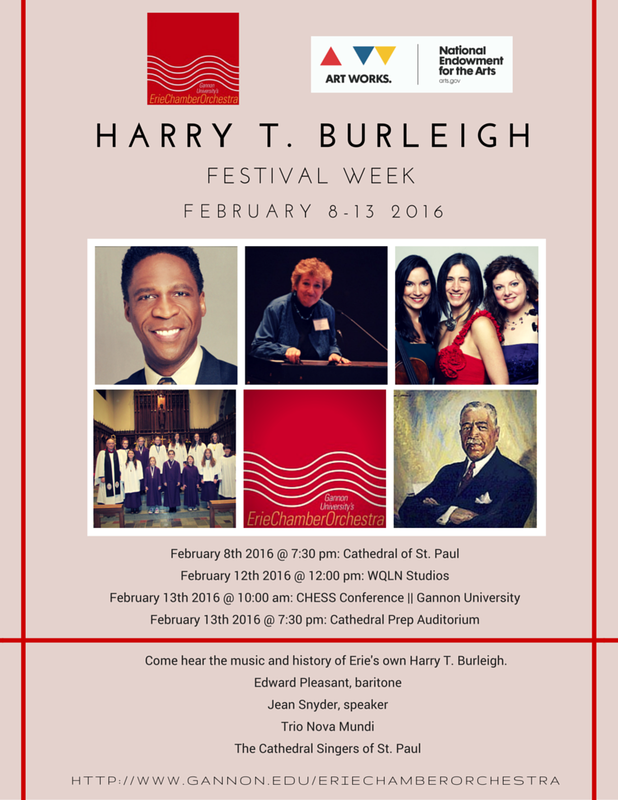 Join the Erie Chamber Orchestra February 8 – 13 for a week-long celebration of Erie’s own Harry T. Burleigh! 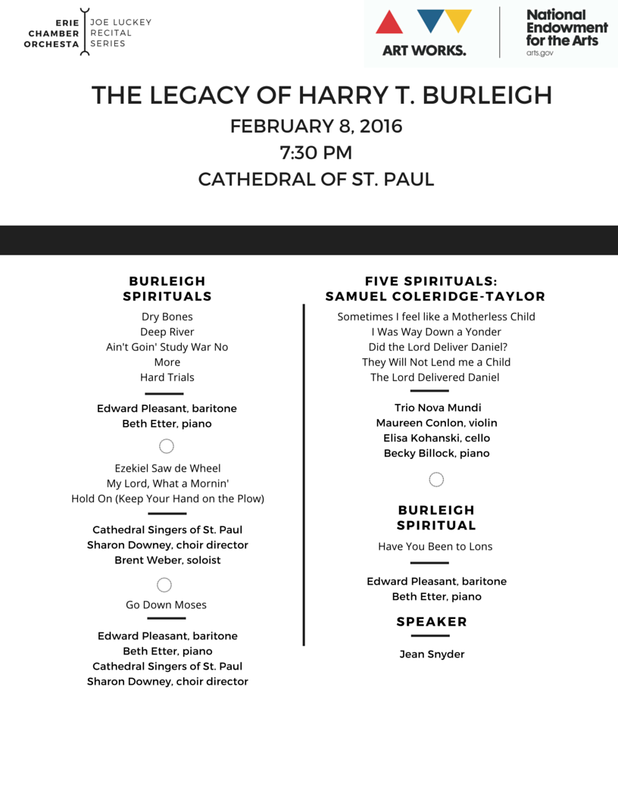 Edward Pleasant and the Cathedral Singers of St. Paul perform Burleigh spirituals as Jean Snyder weaves a narrative of her own research on the life and music of Harry T. Burleigh. ECO’s own Maureen Conlon will perform with her ensemble, Trio Nova Mundi in a concert celebrating the spiritual. Edward Pleasant and Beth Etter perform selections of Burleigh and talk about Erie’s favorite son. Jean Snyder speaks about her work on Harry T. Burleigh and the writing process. Edward Pleasant, Jean Snyder and the ECO explore the relationship between Burleigh and Antonin Dvorak in a multimedia presentation culminating with Dvorak’s “New World” Symphony! 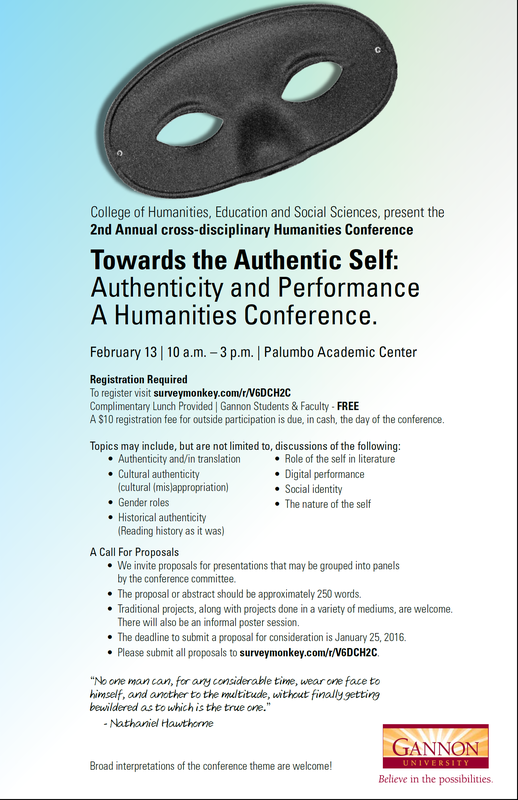 This program is funded in part by a grant from the National Endowment for the Arts.